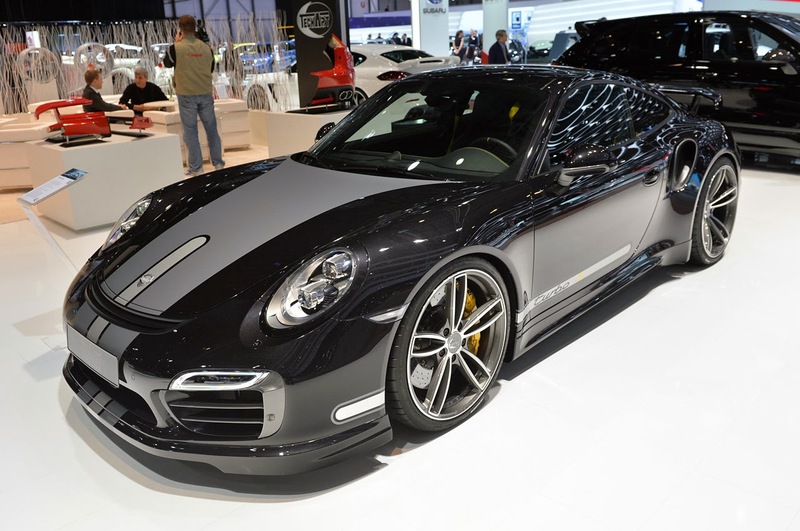 Porsche seems to be a bit chuffed about its 911 Turbo reaching 40, and why not? They say: ‘… as a technology showcase combining the virtues of a circuit race car with those of an everyday road car has consistently reached new heights.’ Having driven the stunning 911 Turbo S recently, we can’t really argue. To celebrate those forty years, Porsche has announced that it will produce a limited run of 40 ‘Porsche 911 Turbo S Exclusive GB Edition’ cars exclusively for the UK market. Granted, it’s not the snappiest of car titles, but we’d imagine that esteemed customers and Porsche collectors may already have bagged the lot. It’s claimed that the Exclusive GB Edition takes some of its styling cues from the original ’930′ 911 Turbo of 1974; the black rear upper spoiler, black Sport Classic wheels, black finished door handles, and Porsche script along the sills (you’ve guessed it – black!) echo some of the touches introduced by the original turbocharged ‘neunelfer’. On the inside the package is topped-off with black upholstery and guards red stitching, with a Union flag embossed atop the centre storage compartment lid. Underneath all the Exclusive GB Edition bits is the 560hp 911 Turbo S with its Porsche Dynamic Chassis Control, Sport Chrono Package Plus, and Porsche Ceramic Composite Brakes all combining to stunning effect to make this simply one of the fastest ‘point-to-point’ road cars there is.